The fine print of the regional connectivity scheme is basically an initiative to promote affordable flying and thus increase the air connectivity as well. Under the regional connectivity scheme the government will make flying much cheaper so that more and more passengers avail flights especially from unserved airport, so that air connectivity is utilized and expanded. The regional connectivity scheme is an initiative to make flying from one part of the country to another much more affordable so that the more and more flights are booked. If more flights are booked, and the smaller airports of the country also become busy then employment can be generate. The scheme also wants to promote tourism through this scheme. The major focus here would be the flight that connect cities or popular places of the country to the airport of regional or smaller areas. By doing this the government would try to bring about a balanced regional growth as well. By doing this the smaller, un-served and under-served airports will become busy and would need more and more people for work. With this new Civil Aviation Policy the government will decrease the flight ticket prices, of the flights that depart from un-served or under-served airport, to a price of Rs.2500 for an hour which would cover around 500 kilometers. It has been said that for these airports the government will provide a concession of 2 percent of the Value Added Service and a 1/10th of the service tax. It has been said that the scheme will be exclusive for the route that covers a route of 200 kilometers to 800 kilometers. There has been no such lower limit set for certain types of areas such as island, sensitive areas, remote lands, and hilly regions. The government will free the flights of the regional connectivity scheme from charges such as parking charges, Terminal Navigation Landing charges and landing charges. Under this scheme the state governments will have the option of becoming partners with the Aviation department and will help in providing fire service, free security service and other required amenities at a lesser price along with a lesser VAT of 1%. Allocation of the fund will be made equally to the 5 regions of North, South, East, West and North East. This will help in the balanced growth of all these regions. To fund the regional connectivity scheme a Regional Connectivity Fund will be made that will be sourced by making levy on certain specific flights. Apart from this the Fund will also have a 20% contribution from the Sates that tie up to the scheme. Under this scheme the government will have maximum of seven and a minimum of three such scheme flights in a week, in each of the routes. And in each of the flights there should be at least 9 and a maximum of 40 seats. The operator who are interested to be a part of this scheme can apply with a draft of a route proposal. It has been announced that this scheme will be provided to the individual routes for a span of 3 years, and in total the scheme will function for the coming 10 years. For certain specific routes and extension might be given, depending on the proposal of the operator. Maharashtra government has wasted no time in signing up for this scheme, as soon as its launch. The Maharashtra government, with this sign up, became the first State in the country to be a part of the regional connectivity scheme. The State government is of the view that this scheme would help in the development of the smaller airports in the State and will also provide incentive option to the smaller airline business of the State. The Maharashtra Government has signed a memorandum of Understanding with the Ministry of Civil Aviation and the state-run Airport Authority of India. With the signing of this MoU, the scheme would now help in the development of the smaller airports of the Maharashtra State that includes the airports of Nanded, Akola, Shirdi, Solapur, Jalgaon and Kolhapur. The airports of these areas fall under the Airport Authority of India. After the sign up the Aviation minister said that with the scheme, it would be a good idea to develop these airports. 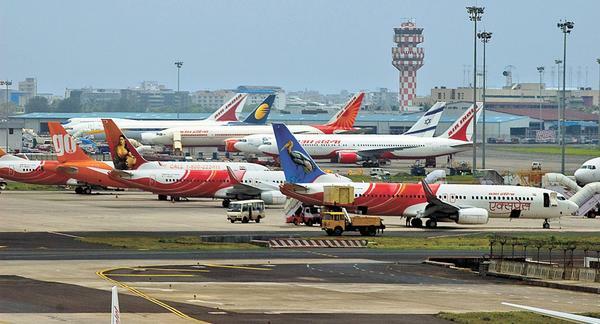 The sign up of the Maharashtra Government has come as the Mumbai airport is now severely congested and it is becoming very difficult for the State to manage it. The Mumbai airport is the second busiest airport of the country, which is now struggling with lack of space, and congestion. With the development of the smaller airport in the other regions of Maharashtra, some amount of pressure can be lifted from the Mumbai airport. This might solve some problem of the Maharashtra government. Though the scheme seems to be in a progressive tone, there are still some challenges that the scheme has to fact and some loopholes that have to be rectified. The rate mentioned for a one hour flight is Rs.2500, but then it has not been clearly stated that if the one hour is the flight time or block time. In India there are 476 airstrips but then only 90 of them are in a usable state, among which only 76 are currently operational. This scheme has a tenure of 10 years, it can be challenging to develop so many number of airports in the given time. The aviation ministry has not mentioned clearly that which of the routes and airports would come under the regional connectivity scheme. The idea behind coming up with this scheme seems to be good and beneficial for many regions and airports which are hardly active, but then one has to wait and see how the scheme goes about in reaching its goals.